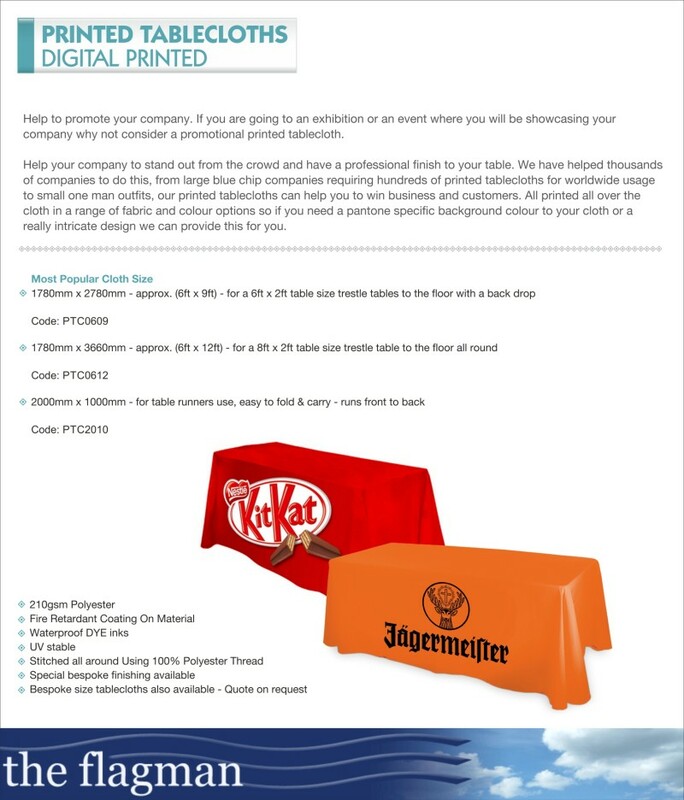 Digitally Printed KIT KAT Table Cloth. 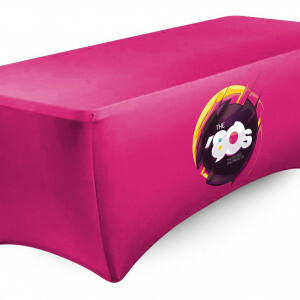 Example of Table cloth we created for a customer this year. 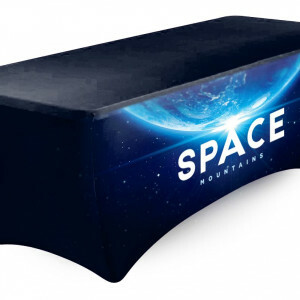 Perfect for indoor/Outdoor Exhibitions and events to showcase and promote your brand. 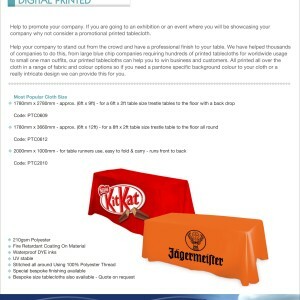 We print in house and can create your own branding or we can design for you at no extra cost.